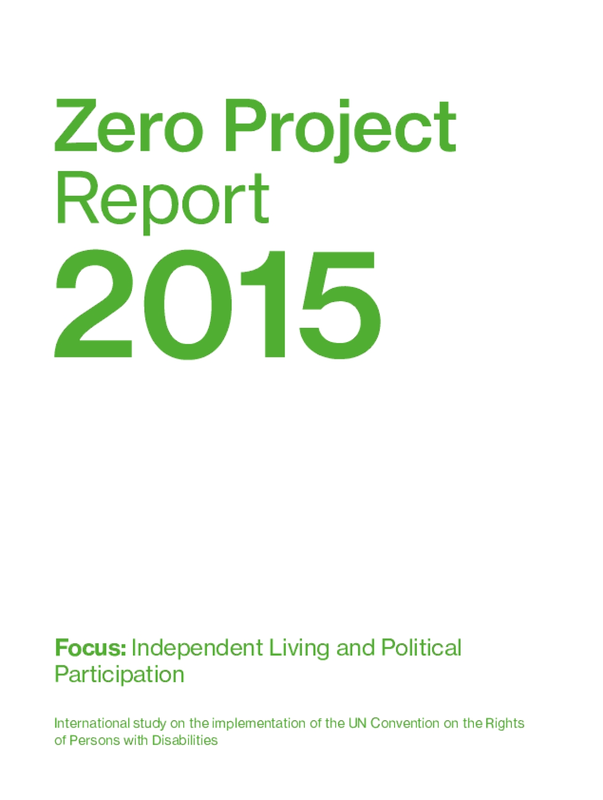 This booklet is an EFC (European Foundation Centre) thematic network's first collaborative piece of work. 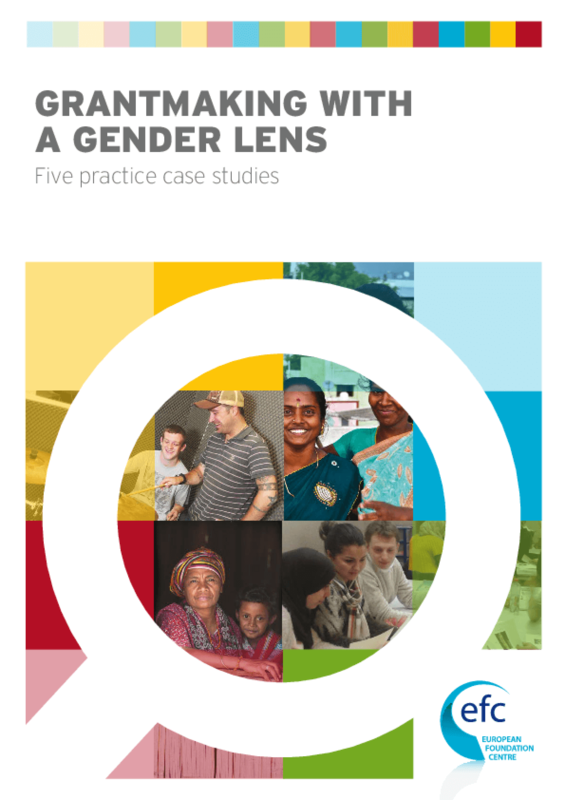 It presents collected case studies on foundation grantmaking programmes where using a gender lens made a real difference to the people concerned. Criminal justice, climate change, migration, labour rights, workers' health and disability are the foundation programme areas discussed. Indeed, these diverse areas, all equally important, have something in common: they were all approached through a gender lens which allows each foundation to fully understand the issues it tackles, and adapt its response accordingly. This publication addresses what a gender lens is and how a foundation can use it; And tries to answer some questions. Increasingly, foundations talk about ways of breaking down silos in their grant making approaches in order to step away from the single-issue focus to improve effectiveness and to achieve long lasting solutions to deep rooted problems. In this framework, the effort of many foundations that are taking action to breaking down those silos by developing joint grants across different priority areas is remarkable. This publication's main aim is to communicate these greatest efforts to provide a source of reflection and inspiration for foundations. Since we are working in a systemic framework, it would be ineffective to address disability without acknowledging its relationships with gender equality, education, employment, ageing, research, cooperation and development. 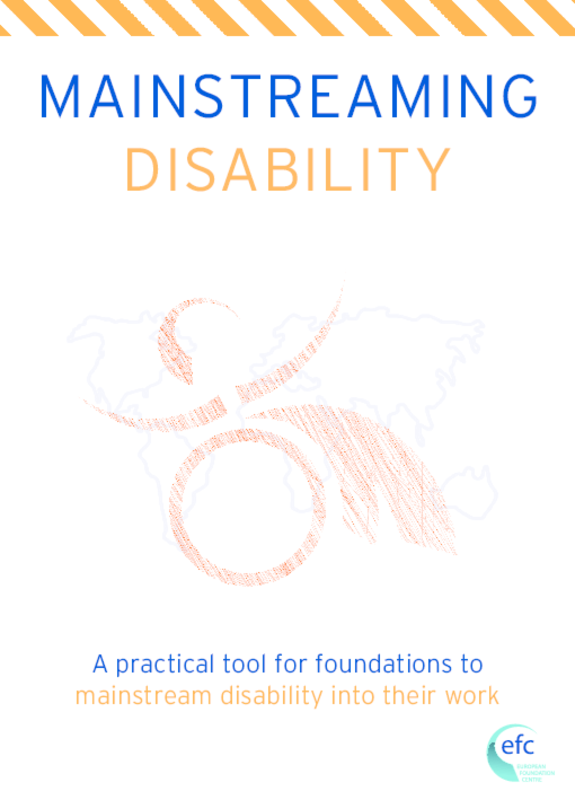 This booklet aims also to demonstrate through a solution-based approach, the broadness of foundational programs in the field of disability that also have a clear focus on social innovation. The best practices showcased show how foundations consider disability a cross-cutting and inclusive issue, integrating it into programs that reach out not only persons with disabilities but connect them with very different fields of civil society. This practical tool can serve as an inspiration for other foundations to act taking into consideration the cross-cutting approach. 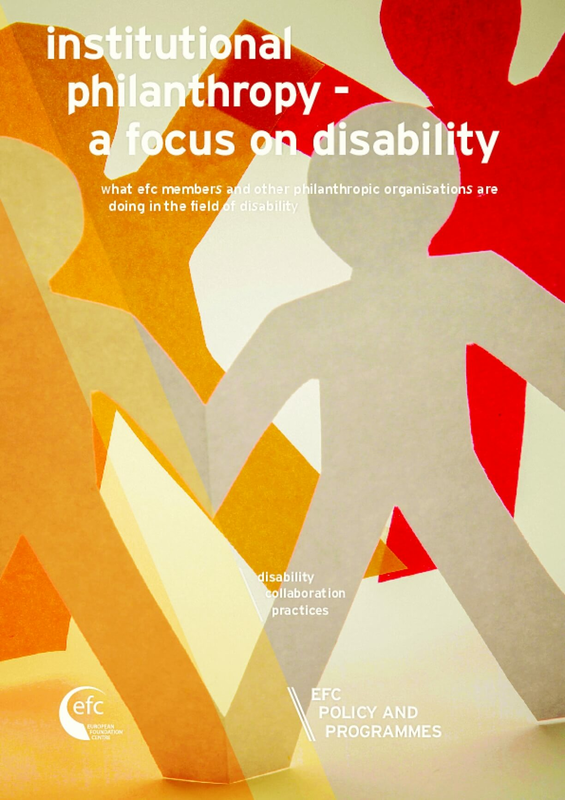 This publication, focused on what foundations should be doing in order to implement affirmative policies that actively foster the rights of persons with disabilities, underlines the level of EFC (European Foundation Centre) commitment to the necessary, even overdue, efforts towards the mainstreaming of disabilities within foundations' work. There is a spectrum of responses that foundations can take, from being more aware and sensitive to the needs of persons with disabilities and how these might be factored into work supported by a foundation, to having an explicit focus on disability. By highlighting examples and best practice from different foundations in Europe, this book also aims to make the point that partnering and peer learning are excellent ways to spark new ideas. Launched in 2010 within the European Consortium of Foundations on Human Rights and Disability, the LHAC is a pilot project focusing on improving the accessibility of historical towns in Europe while at the same time promoting the development of responsible tourism and the protection of cultural heritage. Its main aim is to find innovative ways to reconcile cultural heritage protection and accessibility, which is one of the biggest challenges in Europe regarding accessibility and an important field for the foundation sector to engage in. 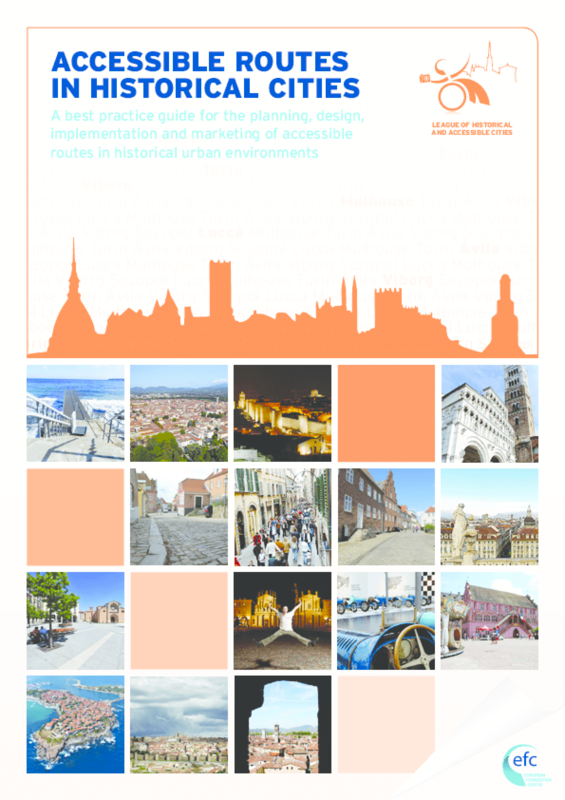 The initiative, led by the European Foundation Centre (EFC), brings together a group of European foundations and city authorities to tackle the major challenge of making the outdoor spaces and buildings of their cities accessible to persons with disabilities and others who have specific access requirements. This guide is a result of their work. Since the onset of the economic crisis in 2008, concerns have been raised by all interested parties on the negative impacts for people with disabilities. 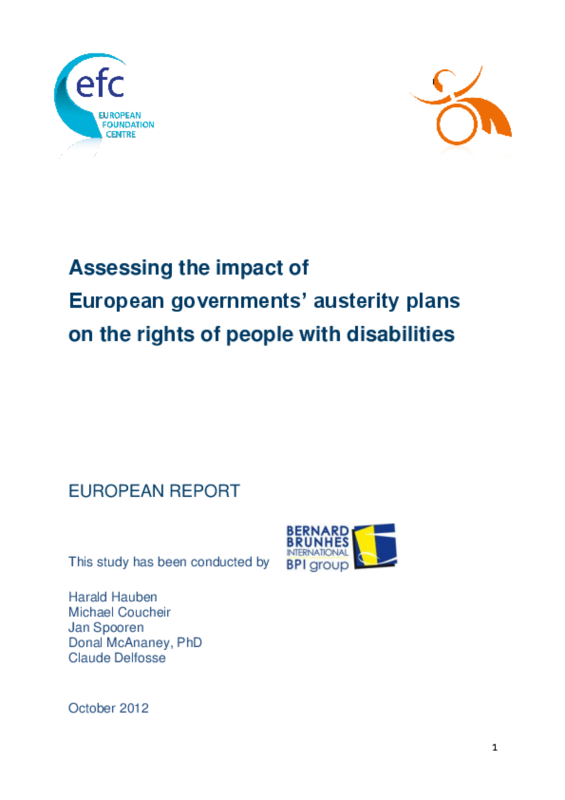 This study, which was commissioned by the European Consortium of Foundations on Human Rights and Disability, examines evidence at both European and national level of the effect of the economic crisis, in terms of austerity measures, on the rights and status of people with disabilities. 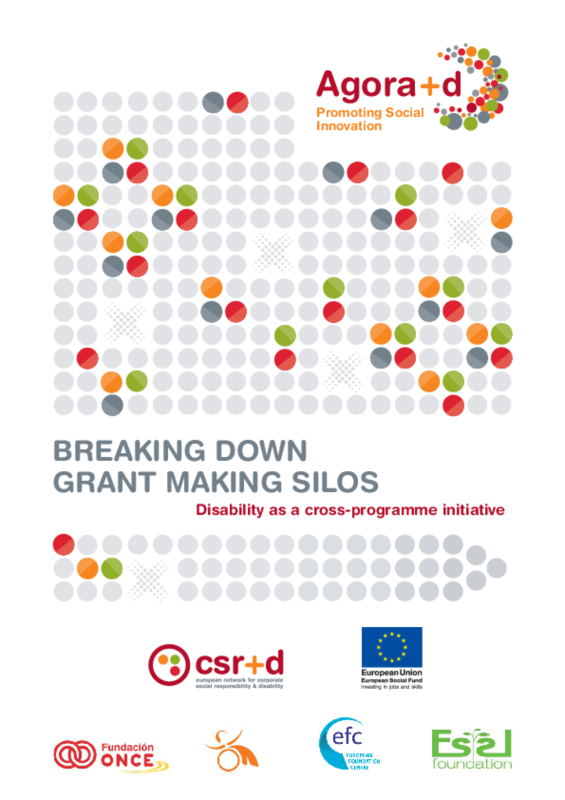 A core team of European researchers, complemented by national experts in six EU Member States, conducted an independent survey of documentary sources and carried out interviews with funders, providers and organisations of people with disabilities. 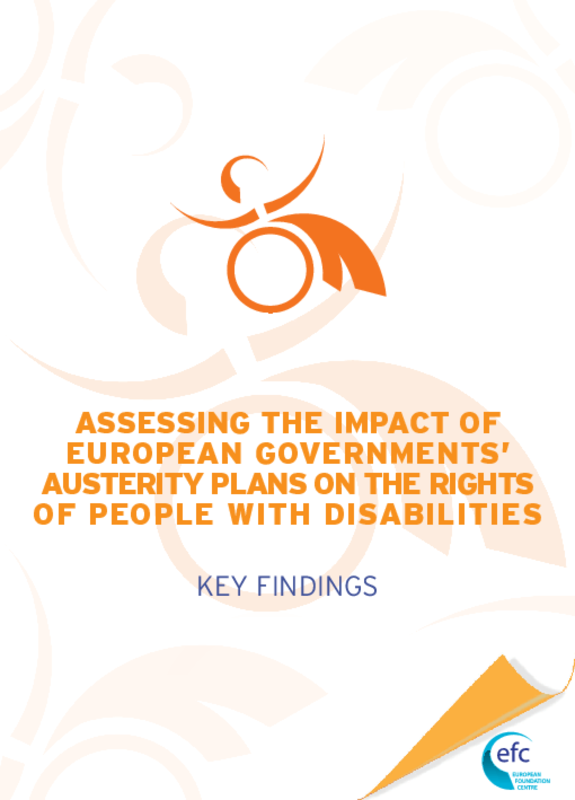 The countries included in the study were Greece, Hungary, Ireland, Portugal, Spain and the UK.The findings are linked back to the UN Convention on the Rights of Persons with Disabilities (UNCRPD) and the objectives of the EU Disability Strategy.